Welcome back to another post and another fashion related post at that. You'll probably know by now that I've got a fair few posts on here about suits and the kind of suits that I like to wear so with this post, well I wanted to make it a little different. And whilst I know people's blog posts are normally all about them and what they like, this post delves into the likes and loves of other people. Through writing this blog I have made quite a few online friends, a few of which I have met up with and a few of that have become really close "real life" friends too, so it's only fair I include them in a post or two - I recently asked them what type of suit they like to wear and why. There are so many different styles of suits on the market at the moment and I know there is something there for every taste and preference. You could be a skinny fit suit fan like me or could prefer a more traditional suit like a Masonic Suits from Suits Men or even prefer a rather crazy, wild, colourfully patterned suit and I'm sure there would be no trouble in all of those bases being able to be covered. "Any type of suit looks 2000% better if it’s fitted; make sure your trousers aren’t all crumpled around the ankle and that your jacket buttons aren’t about to bust. In terms of style, I love a classic two-piece suit in darker tones with a patterned tie or a patterned suit with a plain tie"
"When it comes to suits I always choose fit over fabric, I find tailored suits look too box-like and skinny suits make me look too top heavy. I always opt for a slim fit suit and when possible, a three-piece. After that it's fabric, I love muted toned suits in either autumnal colours or a rich navy. I try to keep to more natural fibres like cotton as they are more breathable and I usually pair my suit with a white shirt for a classic look. then a tie and a pocket square for a pop of colour. And let's not forget a nice pair of socks, I hate seeing guys in suits with a pair of sports socks on!" "It's all about finding the right fit for your body. From skinny to tailored, make sure you're wearing the correct fit which compliments your body! Also, do NOT forget to wear a belt as it finishes the look"
"I like a tailored fit suit – one that gives some shape and doesn’t just make me look like a tube of Pringles. 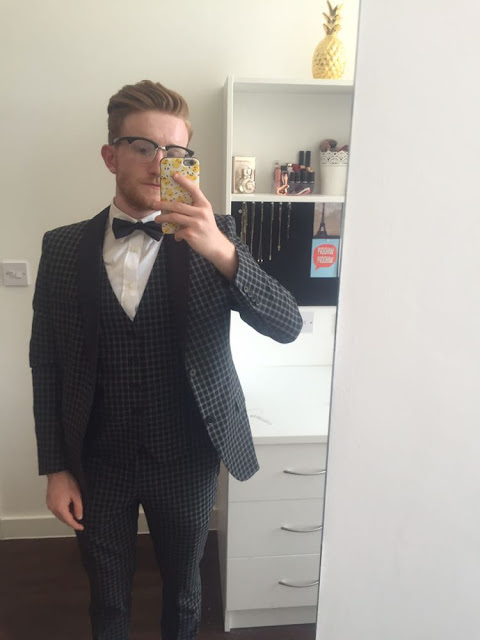 I’ve never been a fan of tweed – though I’m revisiting that for my wedding suit shortlist! I’d also never go anywhere near a shiny suit – why would people do that? Nobody wants to walk the streets looking like a sea lion. 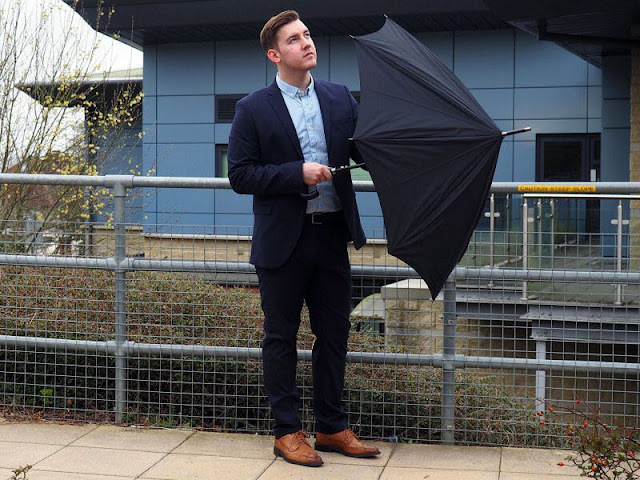 I’ve always had two standard colour suits for work – grey and navy blue. I plan to mix this up a bit soon, introduce some new colours, styles and materials and break the restrictive mould I’ve put myself in. 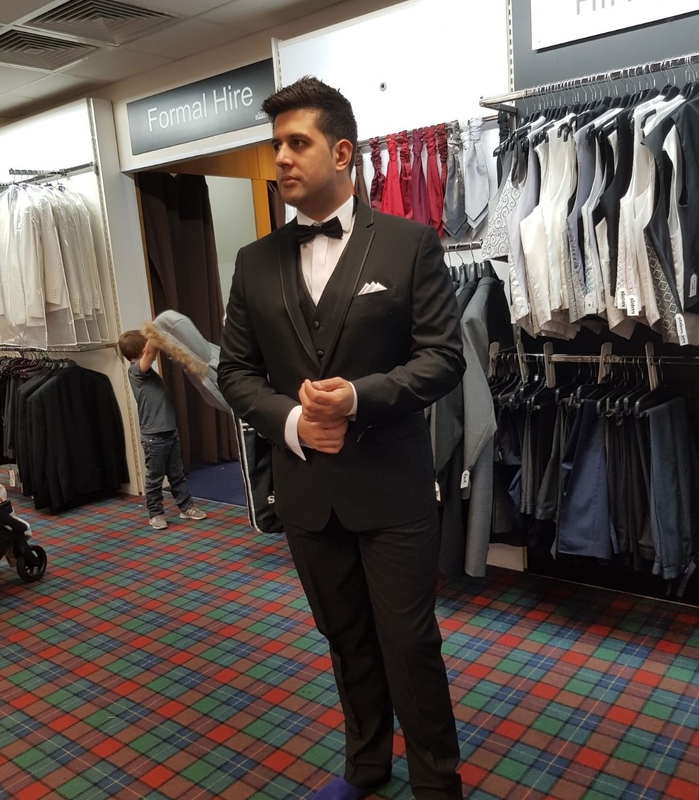 I recently tried a Tuxedo on and loved it, though I’ll end up wearing it for going to the shops because it’s the only opportunity I’ll get!" "I’ve only ever worn a suit once, due to you needing them to be fitted to your body type no matter what style you have. Having previous body confidence issues I hadn’t wanted to wear them but this is something I now feel I could do." I really love how we all have such different views on suits but that we all do kind of agree on the main points - that comfort and making sure you feel confident in what you are wearing is key. I'd love to know what sort of suit you prefer to wear or love to see your man in. I've never had much bearing on what Dr W wears, but he looks good in a fitted grey suit! Haha!